It's almost Mother's Day. And that's cool. It's nice to have a day dedicated all us mothers. In honor of this special holiday and my weekly Pinterest Poser Challenge***, I have the perfect Pinterest craft for all you awesome mamas. 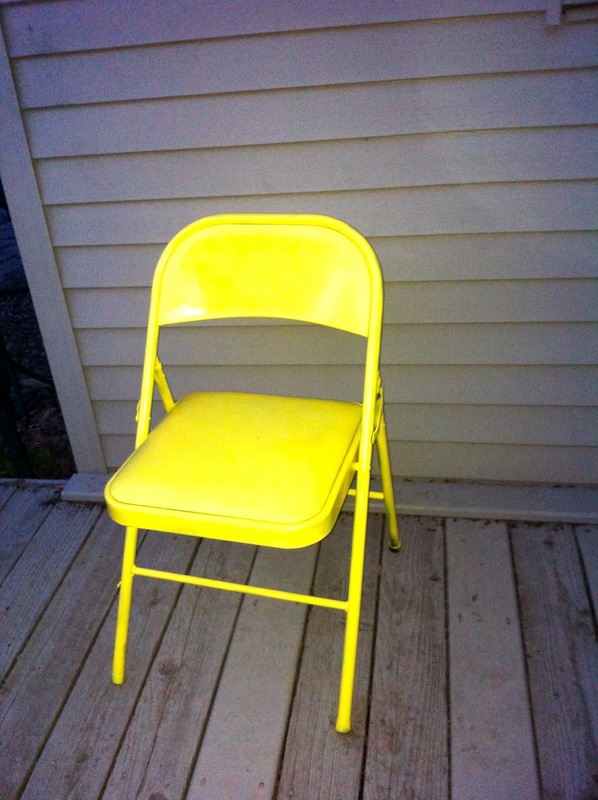 I chose this black folding chair. One can of spray paint, any color. A piece of furniture or wood or metal or etc. Maybe the yellow blooms in this out of control forsythia was inspiration. And as you can see I did not put any newspaper down, so now we have a decent size patch of yellow grass too. Spray the hell out of whatever you chose to paint. To make something brighter and shinier of course. But it's also so you can feel like you completed something. I am so in love with my new yellow chair. 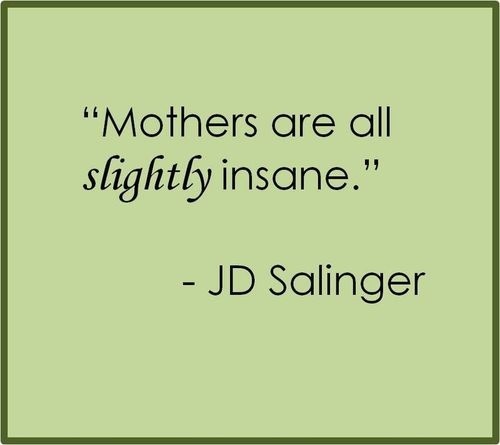 Because a lot of times motherhood can be frustrating like that. Your job is never done. Whether you work outside of the house or in, mothering goes on and on and on. Oh yeah, there's a few minutes after they are all in bed asleep when you can finally sit down and relax. But after a few minutes, that feeling of accomplishment is over. Gone. Done. There is laundry to do, school forms to fill out, lunches to make for the next day (if you're that kind of plan ahead mom and if you are, you are awesome and I am jealous), there are calendars to organize, emails to send, more laundry. By this point, maybe one of those sleeping kids has come downstairs with a bad dream and asked to get in your bed and you walk your kid back to bed (if you're that kind of disciplined mom and if you are, you are awesome and I am jealous (said the mom that usually has two children in bed a few nights a week)). There's no punching out. There's no quitting time. You can't yell "take this job and shove it" like the old song from the 80s. So, maybe you veg out on Facebook and/or Pinterest for a few minutes. Sometimes that feels great to connect with friends or get inspired to decorate and craft. But sometimes it can make you feel more tired, like you should be doing more and better. This Mother's Day give yourself the gift of saying screw you to perfection and more and better. Give yourself the gift of completing an easy project called Spray Paint the Hell Out of Something. Then email or call a mama pal and tell her she's normal if she's totally exhausted and that she's doing a great job. For real. Do it. Wouldn't it be great to open an email that just said "You are a wonderful mom" from a friend? Not an invitation or a request or something you have to RSVP to (if you are one of those moms that is really good at RSVP-ing than this isn't such a big deal to you and you are awesome and I am jealous). Here's one of my favorite clips from the first season of Desperate Housewives when Lynette feels like a failure as a mom. She wishes moms would tell each other how they struggle and they don't all have it together. It's goooooood. Go do it. Go spray paint something, preferably that you own. I'm not trying to start a revolution of renegade mama graffiti artists/vandals. But it sort of sounds cool in a whole Legend of Billie Jean (movie circa 1985) kind of way. Okay, stick with what you own, but you can totally sing Pat Benatar songs while painting. Then tell another mom how great they are. It's the Mother's Day Golden Rule rule--treat another mother how you want to be treated. And then of course it's back to your laundry, whomp. whomp. Tell me how you like this challenge! Share here in the comments or on my Facebook page. And Happy Mother's Day. 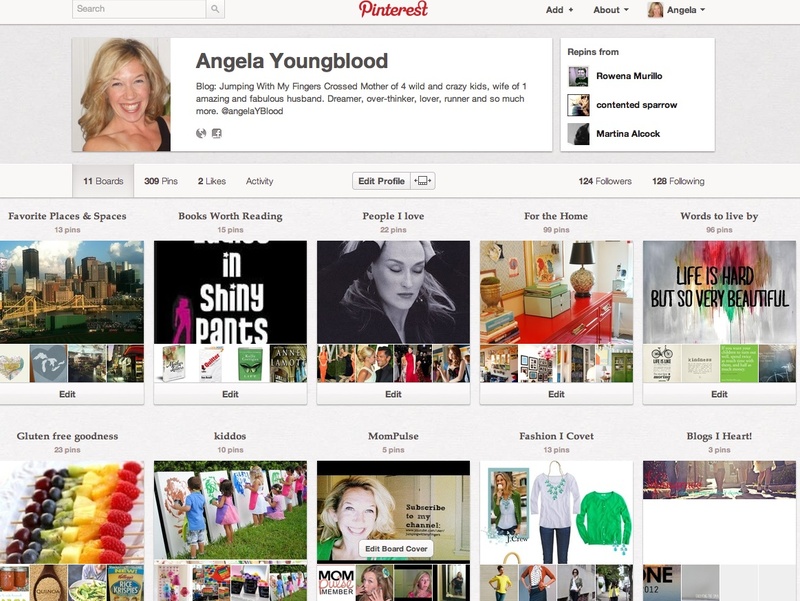 Have you made something from Pinterest lately? Had any great successes? Do tell. YOU, my dear friend, are an amazing, inspirational, not perfect and that's awesome, funny, thoughtful, KICKASS mother. And that chair, this project? SO GOOD. I love the Mother's Day Golden Rule. What if we made it an everyday rule? Like brush your teeth and don't chase the cat? It would be awesome. I'm doing if. Also yellow is so the New Black.